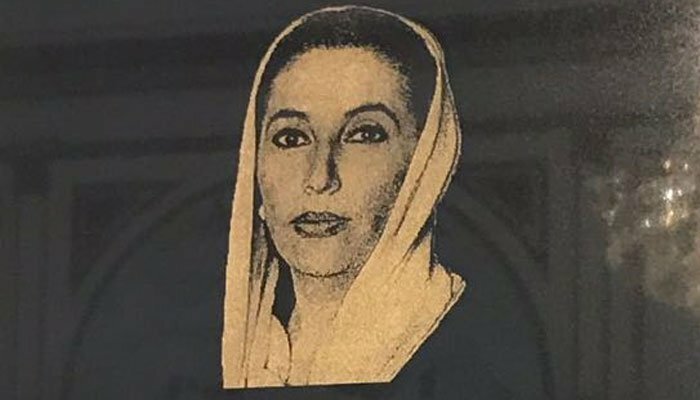 Pakistan’s new High Commissioner to the United Kingdom Sahibzada Ahmed Khan has brought back the memorial plaque of former prime minister Benazir Bhutto, four years after it was removed from the public sight for unknown reasons, Geo News reported on Tuesday. The plaque was placed in Pakistan High Commission’s chancery section by Wajid Shamsul Hasan in 2010 to pay homage to the late leader for fulfilling the dream of acquiring three buildings in Lowndes Square for the state of Pakistan. It was Benazir who had given the go-ahead to Hasan to buy the properties for Pakistan. The price of three buildings, the adjacent open space and two prized news houses, in 1996 was marketed at around £14 million but it was negotiated and purchased at the price of £6 million in June 1996. The buildings are currently worth over £200 million. Pakistan’s former high commissioner Ibne Abbas had removed the memorial plaque in 2014 at the time of his appointment in London. At least five prime ministers prior to Benazir Bhutto were unable to buy the buildings for Pakistan in London, but Benazir Bhutto did what none else could do. “Pakistan’s foreign office considered it a mission impossible, but I brought down the prices from £14 million pound sterling in June 1996 to £6 million. In 2008, after I became the high commissioner, I was approached by prominent members of Pakistani community to put a plaque outside the mission. They themselves contributed for the plaque. It was decided to put it safely inside the Chancery Hall. It was installed by Chairman Bilawal Bhutto Zardari on 21st June, 2010,” Hasan said. Hasan revealed that the foreign office wanted to sell these buildings around 2015 but saner advise prevailed and the then Prime Minister Nawaz Sharif shot down the proposal of selling the prized land in the heart of London. It may be mentioned that even the committee headed by Sir Anwar Pervez to look at the proposal opposed the idea as most unfeasible. Pakistan High Commission said in a statement that the plaque was installed at the High Commission years ago. “It is part of the High Commission’s fixtures. It’s nailed to the wall. They only things in Pakistan Missions that are changed, periodically, are the portraits of the Honourable President and Prime Minister of Pakistan,” it said.